A very pretty lady, impeccably dressed and with hair in perfectly set waves (hair I wish I had), came up to me and asked if I could write about managing finances, specifically in the area of curtailing materialism. She confessed that she liked to buy designer bags and asked how I stopped myself from doing so. Well, first off, I don’t think it’s wrong to buy designer things. The devil is not Prada. Some people see it as an investment. Others can afford luxury without putting themselves in debt. However, there are occasions when it could be very wrong. For example, if you overspend (buy above your means) or if you have a compulsion to keep buying beyond your needs. Whatever the reason or motive, I think each of us ought to be discerning about how we spend money. This article is not meant to be a guilt trip. But I intend to share my own perspective on luxury spending, particularly in the area of buying bags, clothes, shoes, jewelry or watches. Please don’t take it like I am judging every woman who wants to go out and buy herself a designer bag or two or three or so on (you know who you are ;)). I just have a different vantage point which may help someone who wants to re-evaluate her spending habits, someone who earnestly feels like she may want to change and channel her resources elsewhere. I used to be a barefoot girl climbing trees, catching tadpoles, and playing with monkeys. My life was far removed from the city and shopping malls. More importantly, my mom was a simple person. She never spent alot on herself or on dolling me up. She always looked put together and she dressed me up nicely, but her spending habits were very controlled. Up til this day most of her clothes come from the tiangge or Ross (when she visits my sister in the U.S.) So I suppose her example of frugality rubbed off on me. I did not see her buying luxury goods when I was living at home, so I didn’t develop an appetite for these things either. What kind of spending habits did your parents have? What did they model for you? It’s very possible that they passed on to you the kind of perspective you have on spending. It may be hard to believe but I cannot imagine paying more than 5k for a bag. Almost everyone I know who is my age has at least one luxury bag that costs 10 times as much. And others are willing to spend a hundred times more. Personally, I don’t want to be holding or wearing anything that would tempt someone to chop my arm off. Furthermore, I really don’t feel like a bag is worth that much. Some women will say I have no idea what I am talking about. And they are absolutely right. I don’t. I am not a bag connoisseur. But no matter what crocodile is killed to become a handbag, I would never be able to stomach paying thousand of dollars for it, even if it was made to look pretty in its after life. While I can appreciate the quality of luxury, unless the actual materials used to make a bag are near the equivalent value of the price, I think it’s a bad deal. Everyone knows this right? Deep inside, we aren’t stupid. The difference is we all have built-in thresholds for what we are willing to pay for an item or an experience. Plus, there is the factor of what we can afford. Life is about choices. Edric and I may not spend a lot of money on luxury products but we may spend it on a trip out of the country. Building a memory together as a couple or family is something we value more. Right now our resources are also going into our house building so that’s our present priority. Others may be able to spend on whatever their heart desires, but it isn’t common to be able to afford to do everything. Most of us have to make choices. When it comes to bags, if I can buy something functional that does the job it doesn’t have to be branded. I want it to look stylish and well made but I have an amount that I will not go over when I make a purchase. This limits my options so I have to find deals online or in stores. Admittedly, there are occasions when I want to pay more. But I have to remember God owns all the money Edric and I have. We are just stewards of the financial blessings he has given us. Therefore I cannot, in good conscience, pay a ridiculous amount of money for a bag when I can buy one that serves the same purpose for much cheaper. What about jewelry or watches? According to my husband Edric, who has interviewed a lot of financial experts on his TV show, jewelry and watches (depending on the brand) can be a good investment. But here is why I don’t spend for these things either. I am a practical gal. My jewelry is 90% fancy. Why? It would stress me out to have to worry about taking care of diamonds or any sort of precious stone or metal that I could lose. I don’t want the hassle of having to put jewelry in a safe. In fact, I feel very relaxed when our maids clean the bedroom. They are trustworthy but it helps that there’s nothing to take…nothing to tempt them…nothing to put into their pockets. The most precious things in our home are the people in it. Furthermore, Edric prefers that we invest our money for the future. One of my personal dreams is to be able to buy a property for each of our five kids. I suppose this perspective comes from being the daughter of a land developer. My father’s business is in the housing sector. And like I said, I am practical. You can’t misplace a piece of property. Jewelry can get stolen or lost. With my track record for losing things, I really don’t deserve diamonds or gold. If a person wants to invest in watches and jewelry as well as land or even stocks or a trust fund for their children, why not? It all goes back to motivation and purpose. God is not opposed to enjoying one’s wealth. Look at this Proverb: “It is the blessing of the Lord that makes rich, and He adds no sorrow to it.” (Proverbs 10:22) Some people are so blessed they can invest wherever they want to, and still give magnanimously to others. Praise God for them. What about shopping for clothes and shoes? I enjoy shopping. But like my mom, I don’t need to buy branded clothing. If I find a wonderful deal then I may do so. However, I really can’t be too extravagant anyway. With the number of children I have, my kids would be naked and hungry if I was always buying things for myself. This is an exaggeration but having kids does diffuse my urge to shop for myself. They always need clothes and shoes because they are growing so fast! So a lot of times I have to shop for them. The other reason why I control shopping for my own self is I have been pregnant and breastfeeding for so many years of my married life. I am many seasons behind the trends. My bust to waist to hip ratio is ever changing. There is no way to keep up and be fashionable all the time. So my criteria is right fit, color, and a statement of personal style. Not too trendy. I may buy a trend or two if I really like it but the greater priority for me is to exercise so clothes will fit well. Until I get to the size I really want to be, I hold back on the clothes buying. In contrast, my son turned to me and said, “It’s ok, you still look beautiful mom. Having that (the zit) just makes you look like you work really hard to take care of us.” That’s Elijah, my ever-politically correct son. The people that I am surrounded with on a daily basis are incredibly BIASED. I don’t have to wear makeup or dress up and they think the world of me. They are my kids. Do they have a choice?! They compliment me all the time just for being me. Kids are awesome. Have lots of them! As for Edric, he just likes me to look clean and put together. Whew. The kind of company you keep really matters. Do the people you hang out with turn on and feed your materialistic desires? I will be honest, depending on the social circles I move in, there are times when I am tempted to think, maybe if I have designer things people will respect me more or hold me in higher regard. But when I process where that thought is coming from, the root of it is pride. It is pride telling me that I need material things of a certain standard to be accepted or to feel good about myself. So I go back to who I am in Christ. The God of this universe gave his life for a sinner like me. If he thought that I was worth that much then I certainly don’t need luxury to make me feel valuable. If you feel like you have to wear designer clothes and accessories to feel better about yourself then it’s worth asking why this is so. Is it just because you are really after quality products or is there some sort of emotional or spiritual need that is being masked by all that spending? The rest of the passage talks about how the Lord was adding to the numbers of those who were being saved daily. There was something so attractive about the believers’ lifestyle of sharing and giving to one another. People were coming to Jesus because of how they were caring for each other. This passage provides a cure for materialism. Instead of thinking what else can I buy for myself, the mindset ought to be what else can I give? One group of people I really enjoy giving to is our household help. Periodically, I go through my closets and take out a bunch of items and tell them they can have it all. Because they don’t have alot, they are always so appreciative. Their presence in my life teaches me to be grateful for all the comforts I have. And even if they don’t know it, they keep me grounded in terms of shopping. Whenever I shop, I think about the kind of example I am setting for them and the impact I am making on them. I don’t want them to wrestle with jealousy or envy. They don’t have the liberty to buy themselves the same things that I can. So when I am tempted to make an expensive purchase, I think about them as my standard. How would they feel if they saw the price tag? It helps to use their purchasing capacity as a reference point instead of comparing myself to people who are really wealthy. So do I struggle with materialism? Of course. I like things…things that are pretty, sparkly, well designed, tasteful, and expensive. But I choose to manage my desires by thinking about what I am spending on and why I am spending. At the end of the day, whatever shopping habits I have must be filtered by contentment, motivation and stewardship. And just to clarify, a materialistic person is not someone who spends less. It’s someone who looks to possessions to fill a space that ought to belong to Jesus. Any of us can be susceptible to that. We need to come to the point where we know that only Jesus can bring us true satisfaction. And we need to recognize when the love for the world is replacing our love for God. Am I being a good steward of the money God has given our family? Is there a better way to spend or invest this money? Am I faithfully managing the budgets assigned to me by my husband? How can I use money to bless others and meet needs around me? Will I cause people to stumble or be envious of me if I am extravagant? What are my motivations when I want to buy myself more things? Is it to impress people? Is it really a need? Am I trying to project an image to others that is rooted in pride? Is my desire for material things increasing at a greater rate than my desire to feed on God’s word and spend time with him? How are my purchases indicative of where my heart is? Luxury bags, clothing, and accessories fall under the category of “want” and not “need” for me. I will not judge those who feel otherwise. Afterall, bags, shoes, clothing, watches, jewelry…these things are not the true measure of person. God sees past material things to the heart that is within. Hi joy, I just love reading this article, we just came back from our annual trip,and I was able to control myself to not buying the designer bag in the display window! it was a very good deal! there’s this street in Osaka where cheap pre-loved bags are being sold, my first instinct was to ask the sales person to open the display window for me, but I know once I get my hands on that bag I wouldn’t be able to resist the temptation of buying it, I prayed hard and asked The Lord to give me self control, but I was still struggling so I asked my husbands permission and if he says yes then I’ll purchase it, he actually gave me a go signal to buy it, but I have to process everything and asked The Lord if I’m being a good steward. We’ll, I’m glad I had force myself and literally flee from the object of my temptation, but my ever loving thoughtful and generous husband kept on bugging me to just buy it, but the Holy Spirit within me prevailed, I had to let go of that material desire and lift everything and release it to God, this is the first time I had to let go of that desire, though I’m still struggling inside, but I’m just glad i did not give in to my desires, by not buying it, we were able to extend our trip to 6more days and have extra money in our pockets to spend . Hi Joy! I absolutely luv luv luv this article. You pointed out quite a few things that really hit home base for me. I really adore your humbleness, sense of self and practicality. Looking forward to reading more of your blogs. I really like this post, Joy! So many practical insights. A lot of good advice too. I will be sure to re-read this every time I find myself struggling with expensive purchases and with money matters in general. Thank you joy. My daughter and I were blessed reading your article. God bless you always! Loved your article. I found a practical way to get rid of the “itch” to buy “a good deal”, and that is, to walk away and find something better looking, coz 95% of the time, there is something better than what I am “iitching” for. Hopefully you’ ll be tired of looking for the “better deal” that you hopefully will get fed up of looking altogether. Also, i find setting a goal helps curb appetite for spending. I have a goal to set up a school for children in a rural village someday. I do not have the resources and manpower at the moment, infact, I have a couple of thousands in student loan. However, a seemingly outrageous goal can make you dream about it more, and pray about it harder, because you know it will take a lot from you. And this, in my experience, made me conscious where i put my money in. A few dollars here and there for that project, is a step towards a more fulfilling life, i hope in the end. Its nice to hear this” welcome home, my faithful servant”. This article is such a blessing. I felt God was talking to me through your writing. What you have shared are very helpful as I continue my spiritual journey as a Christian. I will always keep them in mind especially whenever I get tempted to buy unnecessary stuff or get attached to the material things of this world. Thank you for sharing your thoughts on this particular topic which really strike a chord with me. I have been reading a lot of your writings as well and I find them relevant, insightful, inspiring and encouraging. God bless you more. In my opinion living a balanced life is the key. If you work hard, it’s ok to enjoy the luxurious things in life because this is a blessing from god as well. As long as you tithe, give to your parents / relatives and the people around you that are in need, save, and pay everything you need to, then spending the rest (as long as you can afford it) where ever you please is ok. Wether it is on a family holiday, a well aged cheese, a designer purse, a car, or a home doesn’t really matter. God gave us these things to enjoy it. “Seek Ye first the kingdom of god and all this things will be added unto you.” It is a part of gods will to bless us and give us the desires of our heart if we obey him. As long as we don’t put the pursuit of material things above God and our family then I don’t really see why god’s children should not enjoy the things that other people can. I agree too. For as long as you prioritize your needs and those who need you, then spending the remaining amount for your wants, I think, is okay. As long as you don’t compromise your future. Yes, I agree. We tithe first, with whatever is left after expenses and helping out, I don’t see why can I not buy a designer bag for my wife ( who isn’t into designer bags) I don’t think it’s wrong since we sought God’s kingdom first. And I always have these bought from other countries since it’s cheaper. It’s really best to be rooted in God first before delving into these designer stuff. I have been trying them for me (shoes) and my wife (bags). I know that our identity and joy are never in these worldly things, it’s still in The Lord. Tithe first, it works, God can never be outdone in generosity! This article is such a blessing. I felt God was talking to me through your writing. What you have shared are very helpful as I continue my spiritual journey as a Christian. I will always keep them in mind especially whenever I get tempted to buy unnecessary stuff or get attached to the material things of this world. I know it’s not going to be easy and it is only through consistent reliance to God that it will be made possible. Thank you for sharing your thoughts on this particular topic which really strike a chord with me. I have been reading a lot of your writings as well and I find them relevant, insightful, inspiring and encouraging. God bless you more. Hello Joy! I completely agree with you and this is also why I don’t buy designer anything for myself anymore. And even when I get them, I can easily part with them (give to someone who’d appreciate it more). Precisely, why spend P100,000 for a bag when that can educate/feed/help so many PEOPLE. I’ve also made a conscious effort since I’ve rediscovered my faith, to invest in PEOPLE rather than in things (much like my parents). Unless something’s on major sale, I’m not buying it. I just can’t stand the thought that some day, I’ll be face to face with my Maker and when He asks what I did with my life, all I’ll have to show for it are bags, shoes, clothes or jewellery. Heck even my personal grooming (i’ve learned to colour my own hair) has changed. There are just too many people to help. Weirdly for me, I spend much more on donations than on designer items for myself. My husband and I spend on helping people, spreading God’s word, etc what others would spend on a few high end rolexes. Even eating out seems excessive when we can eat well at home and channel the savings towards paying our househelp better. I don’t know how in the Philippines, we’ve gone from a great country, to a country that pays househelp p2500/month (without any pay raise too!) but P250,000 for a bag. When I still worked in the corporate world, a foreigner coworker once said, the Philippines still engages in slavery. At the time, everyone was just so offended by his comment, including myself. But sadly, I now feel he was being more truthful than any of us were. I know what it means to be materialistic. Once upon a time I spent a month’s salary on shoes for one day! Then when I realized on my own the stuff that Joy has been saying in this blog….I took a gradual paradigm shift. Working so hard to splurge on an item that you just want to use to make people envious….that’s bad. It’s another story when you can perfectly afford such an item without sacrificing real needs and obligations. That’s fine. But as to ascribing value to certain things …being exposed to business and marketing made me realize that many times, needs and wants are created by media and advertising by manipulating perception. They do that to make money. But hey. If you prefer to buy a Rolex instead of a plot of land, I won’t judge. Like Joy said it’s all about motivation. Being a good steward, and understanding the concept of investment and making money grow so that you have enough to share or to bequeath to the next generation. Speaking from a financial literacy point of view buying a Rolex is just like buying a small piece of land 🙂 except that it fits in the pocket. Praise God Noemi! 🙂 thanks! But seek first his kingdom and his righteousness, and all these things will be given to you as well. Ever since I broaden my knowledge of the Bible, my priority is to serve God now.. When Jesus lingered on earth for 40 days after his resurrection, “He was seen by them throughout 40 days, and he was speaking about the Kingdom of God.” (Acts 1:3) I definitely see an urgency in his message. Also shortly before Jesus’ ascension to heaven, he commanded his disciples to make disciples of all nations as brought out in Matthew 28:19. As a faithful follower of Jesus, we to follow his commands. He said, you are my friends if you do what I command. John 15:4. Joy, you really a JOY to ones heart esp to everyone who read this. A wake up call., heaven sent and more power. God bless you. “Sometimes, we tend to find ourselves judging others on their lifestyles, and spending habits – wondering what their priorities in life are. I myself am guilty. But then now, as I am scrolling through my newsfeeds -seeing my friends & family’s posts, I see only joy! Sometimes, we tend to find ourselves judging others on their lifestyles, and spending habits – wondering what their priorities in life are. I myself am guilty. But then now, as I am scrolling through my newsfeeds -seeing my friends & family’s posts, I see only joy! Joy that they would like to share to everyone. Joy that may uplift someone’s heart, joy that may bring better hope to someone’s life. So I thought to myself, people set their own goals. And with those goals, they make their own choices. And if one’s choice is to post selfies, & every bit of detail they do, or have acquired, I’d say, ‘Hey, it’s okay!’ Just be very careful posting loads of information for thieves to track you down. I liked your article very much because I find we have a few things in common. One is that my mother, like yours, was a simple woman, and i grew up under her influence of minimal make-up, simple well-made clothes that are not designer-labelled, and same with bags, shoes and accessories. I also developed a streak of patriotism which I express by going out of my way to source Philippine-made and branded products to use for myself, my family and at home.. I wish that more Filipinos would avoid patronizing foreign brands. Thank you for your article, and God bless you! Hi, I came across this article through friends on Facebook. Thanks for providing great insight on an issue that is very relevant for everyone today. I agree on many points you made in your piece. I’m Christian also but I guess my discomfort is in the Bible passage you quoted that states that children should not be saving up for their parents, but the other way round. I was born to parents who married late into their life and thus, in their old age now (and my relative younger age) I am supporting them financially, physically and in many other aspects. I guess if we are to take the word of God literally, people like me and our families are apparently not living a life that is in accordance to His teaching. Of course I don’t think God would rather that I live a life of indignation, disappointment or frustration over having parents that are a burden for me. I did experience a point in my life, as would naturally be expected, that I felt such a way but I do thank God as well that I was enlightened enough to mature and realize the blessing behind this situation. Foremost, I have learned to be independent, resourceful and hard-working enough to support both myself and our nuclear family. Second, I learned the meaning of the word “sacrifice” which is really “love”–putting the welfare of others before mine. I have put off many goals and aspirations in life (starting my own family, for instance, among a number of others) taking into consideration the well-being of my parents. Finally, it simply brings me joy and happiness to be able to provide them with their own comforts and happiness–even despite times that it feels it is a thankless task because they themselves may not be in a position of enlightenment to express gratitude. I guess what I’m trying to say is that, in all honesty, I don’t feel it might be inspirational to people in certain circumstances to be presented with thoughts or ideas that God’s word is not in accordance with their lives. I highly doubt God would find pleasure in my neglect or complete disregard of my parents simply because it is written as a clear statement in the Bible. Beyond religion, I hope we humans find a deeper spirituality which is really what connects all of us with each other and with God. There are basic truths that celebrate goodness in humanity and a cognizance and deep respect for this fundamental goodness is valuable beyond any material or written reference on how we should live our lives. God is love and truth, and if you find truth and love in your life you can be sure you have God within you. for the children ought not to lay up for the parents, but the parents for the children; not but that children ought to take care of, and provide for their aged and indigent parents, and churches ought to maintain their faithful ministers; but the apostle argues from a common fact which nature and affection direct unto, and have formed into a sort of a law, that parents not only care for their children, bring them up, and provide for them food and raiment; but as they are blessed by Providence, lay up treasures for them for tithe to come, and not children for their parents; this is neither usual nor necessary, for however, as the case may be, children may be obliged to maintain their parents when grown old and in want, yet not to lay up substance for them for futurity; and by it the apostle suggests, that he was a spiritual father to these Corinthians, and they were his children; for whose spiritual welfare he had the highest concern, and whatever he did was out of no disrespect to them, but from the strongest affection for them. The Bible also tells us to honor our parents. In your present situation, what you are doing is only right. I think the perspective Joy was emphasizing here is that as a parent, our goal should be to provide for our children, and to save/budget accordingly. I wouldn’t take it to mean that if you are providing for your parents, you are in the wrong. On the other hand, we should not expect that inspirational blogs limit themselves to verses that will satisfy everyone. God’s word is there to convict us and lead us in the right way, not to affirm our choices. In 1 Timothy 5v8 it also says that “If anyone does not provide for his relatives, and especially for his immediate family, he has denied the faith and is worse than an unbeliever.” I think you are actually living in accordance to His Word based on this verse. I think Joy is speaking to parents to prioritize saving for their kids versus splurging. It helps if we read the Word in its context. Prayed for you and your parents. Hi Ms. Joy! I am so glad my friend shared your page. I super love this article ! You are a great model to all moms out there. I am also a mom to a 4yr old kid and all your articles are si helpful. God bless you and your family more! I am also a fan of Sir Edric, i always watch On the Money. I really love this article. I;m a bit guilty, but I’m trying my best to remember God’s words.Prayer is the most powerful things that we can have and do. Whenever you feel tempted, just keep on praying..and praying… In my personal experience, there are some people who do things that make us feel envious. But, I pray to God and ask for His Guidance,and It really works. I think the impeccably-dressed lady should have approached her financial planner/banker who can give her better insights on financial goal-setting, & management of her finances. Who knows, she might be richer than she thinks! Thanks for the long post. In all of it, I only see jealousy, & judgement of other peoples’ preferences. Good thing the writer knows how her priorities because she knows her goals too well. As in my previous post the other day, people set different goals, & from those goals, we make choices. And if my choice is to get myself a designer bag to give me a sense of fulfillment, why not?!?! Remember not to equate luxury with materialism, if you know the deeper meaning of the word! I say to you, do not use God’s words in vain. Refrain from quoting His words just to present your ideas. God’s words are Holy. Keep these in your heart, and live your life accordingly. Peace. Hi Joy! As usual, you have a way of explaining things in a very sincere and non-judgemental matter which is one of the reasons I enjoy reading your blog. Just wanted to thank you for sharing your reflections with us. I’ve learned a lot from them. Thanks for sharing… I do have the same perspective as yours. I do love branded or signature bags or shoes and clothing but they’re just for my eyes to see. I buy things that I’m happy with and it doesn’t have to be of a luxury rather a need and something that makes me look good too. It doesn’t matter if it’s cheap so long as it looks good on you. Thanks Joy. It’s like God is talking to me… very well said. We have the same perception for our kids. I want to be able to save for them an give them 1 lot as they grow up. I believe this is also like the old Chinese way of saving up money for future needs. I like the financial guidance you have wrote. And it’s true. Sometime we tempted, but we should be reminded that we don’t own all this we are just stewards of God so we should spend wisely and save wisely. Thank you Joy. Wooow… I really love this article.. Thank you for this piece, good to finally have someone put it all down into words and in the right perspective too. May God continue to use you to bless others. P.S. saw you and Edric in Ace water spa last december, wanted to approach and introduce myself then got shy haha! Blessings! insightful! practical and reality. I’m a shoe lover rather than a bag addict. But even if I prefer shoes over bag, I don’t spend to much on a shoe too. But make it a point that it will be able to utilize my use on it. Thank you. This beautiful piece reminds me to be more appreciative of God’s blessings to me. Worth sharing. Hi, thank you for this article. I also don’t understand the allure of designer bags. If I have that much cash to spare I can think of twenty other things/experiences I’d rather spend my money on. Love this 🙂 thanks for sharing that bit of your dad’s quote, shall take some time to ponder upon it. Keep writing! I’m so glad my friend posted your article in FB. I find your article inspirations, awakening, spiritual and enlightening. After reading two of your blogs I could say I am now your official fan. Continue to inspire others. i personallly do not spend a lot on fashion, and as i i grow older, i prefer comfort more than beauty. i tend to spend more on travelling, because this is bonding time for our family, also a way to widen knowledge by learning other’s culture. but ultimately, it’s all in the heart. choosing to spend travel over material things doesn’t always equate that you are NOT out to impress people. some would spend on travelling so they can post on facebook for the world to see. pls do not mistake me for implying that that is also Joy ‘s intention. i understand what she is trying to point out here. only God knows what’s in our hearts, and if we sincerely ask God to, i believe that He would reveal to us what is truly in our hearts (our blind spots and etc). This article is really an eye-opener. As a young mom, I get really tempted to often buy things for myself that looks good but then I have to rethink and choose to prioritize what are the immediate needs of my kids/ family. And from there, when all basic needs are met, I and my husband can decide as to what will go next -treat our kids outside during our family day or buy something for ourselves, which should be on sale. of times previous to I could get it to load properly. I myself have been itching to write a post like this but have refrained so far because, really, how do you write one without sounding self-righteous (and I live in a town that loves designer bags – LVs abound!) But you did it with God’s grace and humility. Time and again, I’ve been blessed by your willingness to share your innermost thoughts. Thank you. I just want to point out two things. First, what may be a designer bag to Filipinos may just be a high-street bag elsewhere in the West simply because of the dollar-peso conversion rate. Second, perhaps it would be good to point out that buying designer bags helps support the ungodly lifestyle of most designers (most of whom openly flaunt their ungodly lifestyle in popular magazines). I’m sorry, I forgot to add: If not designers, then the businessmen who own the companies that make/sell designer bags. Think LVMH (which owns LV, Fendi, etc…) and Kering (which owns Gucci 100%). Really, when one comes to think about it, do you – living in a Third World country – want to support the expensive lifestyle of someone who probably doesn’t care a whit about you as a consumer with your/ your husband’s hard-earned money??? Hi Joy! Love this article because I feel exactly the same way about designer bags, or designer anything for that matter. And i have never succumbed to the idea of rewarding myself with something really expensive just because I work hard for my family. I feel that bringing up the kids properly and seeing them happy and turning into fine young people is more than enough reward for me. This is a very inspiring articles my sister in Christ. Some people wants branded things ro show up. Amen to that. Thank you Joy! Very true. God bless you! I am unable to join it. Is there anybody else having similar RSS issues? thank you for this article, a-must-read to all the women out there…if possible, i want to receive new articles and emails from you mam Joy, tnx so much! God bless you more! Many years ago, Net sports activities book betting was risky. It is Tennessee’s Rocky Top, Florida’s Old Ball Coach, and of course the Gator Chomp and the mighty Tim Tebow. margin, and it becomes tough for the organisers to handle that. I was planning to put an MK tote bag on my pinterest wishlist secret board when i came to this post. Thank u so much for this! I know what to do now. 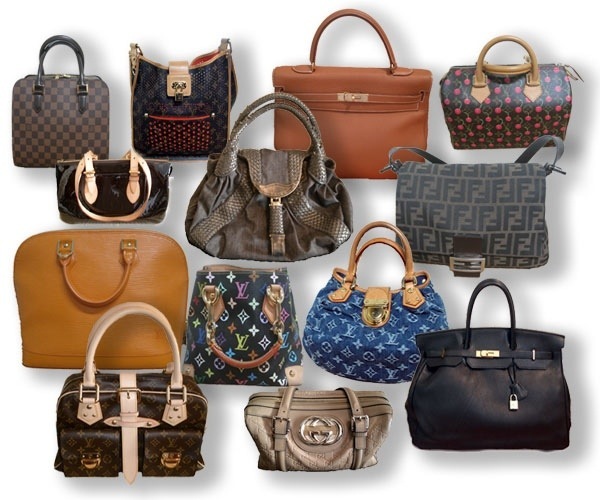 hello I appreciate with this article it is all about designer handbags. I think all women’s have to read these so that all of us will know.. God bless you..
Three years later and this is still a wonderfully written and relevant piece. I just saved this in my bookmarks so I could go back and re-read it whenever I feel like going astray in my spending habits. Thank you Joy! TeachwithJoy is a product of marriage, family, and love. This site is not about perfection, it is about my passion for sharing everything that I have learned from both failures and triumphs. Join me in my journey through married life, parenthood, and homeschooling as we discover the encouragement, joy, and inspiration of God’s grace.